The 5.5 and 6 rings look absolutely adorable as a midi-ring!! 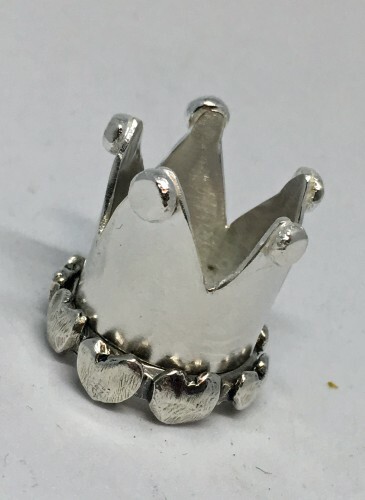 Created using the lost wax casting process, each ring is sculpted out of wax, transformed into a single use mold and cast into solid sterling silver. 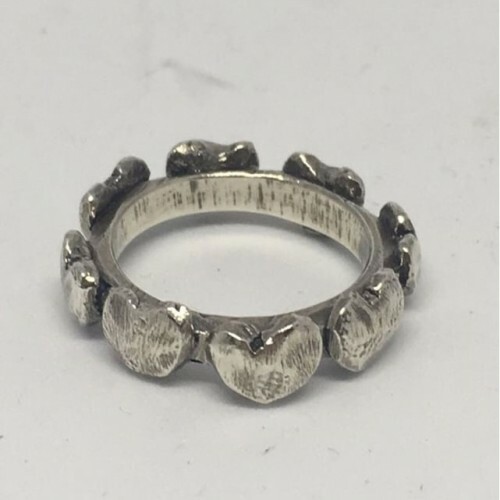 I only have two rings left in stock and ready to ship in a size 5.5 and 6. I am taking orders for Summer 2019. Due to the equipment used in this process, I need to visit the studio that is equipped. I am expecting to do this during the summer. Get your order in and you'll be added to my list. To PRE-ORDER, just enter your size in the PRE-ORDER box and complete your purchase. I will update you on the progress but creation won't begin until June 2019. If it happens to be earlier, I will update you! Each ring is made using a single use mold so each ring will be one-of-a-kind.